According to Entertainment Weekly, actors Jack Black and David Oyelowo are both voicing audiobooks. Jack Black is reading and recording The Little Shop of Monsters, a picture book created by Goosebumps and Arthur creators R.L. Stine and Marc Brown. The book already came out this Tuesday. David Oyelowo is voicing the latest James Bond novel, Trigger Mortis. You might think he’s the first black actor to voice Bond, but actually he’s not. Hugh Quarshie did the famous spy’s voice in the Dr. No audiobook that was released in 2012. But that doesn’t mean the concept of a black actor playing Bond is lost on anyone. In fact, there are several talks and much speculation about Daniel Craig’s next replacement being a black actor. But for now, it’s Oyelowo who holds all the cards. Yes, the original author of The Girl With the Dragon Tattoo and its two immediate sequels is dead, but his stories live on. As I reported earlier this year, the latest novel in the series was set to be released today. Now The Girl in the Spider’s Web is set to come out next week, September 1st. That’s the new official title for the book, written by David Lagercrantz. While the book’s not out yet, several critics have reviewed it, and Entertainment Weekly has an excerpt. 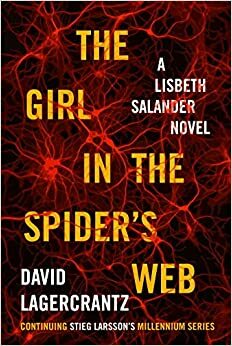 The latest novel follows Lisbeth Salander and Mikael Blomkvist as they run from cybercriminals. The novel is getting good reviews, despite the controversy over the selection of who would finish writing it. 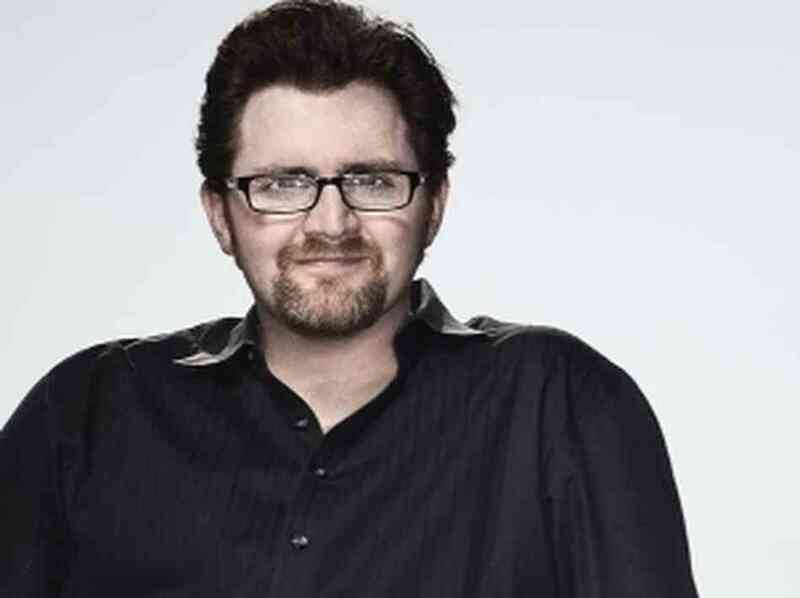 According to Entertainment Weekly, Ready Player One author Ernest Cline just signed a seven-figure deal to publish his third book with Crown Publishing. His second book, Armada, just came out this summer (and yes, I already have a copy. I just haven’t started reading it yet). The third is still untitled, and those involved won’t release any more information other than to say it’ll remain in the sci-fi genre. So far, film rights were sold for both Ready Player One and Armada, but not yet for the highly under wraps third novel. For those of you who watch the cartoon Bob’s Burgers, you know that almost every episode includes a “burger of the day.” Now, those burgers are about to become a reality. According to Entertainment Weekly, tumblr blogger Cole Bowden is releasing a cookbook of all the shows’ burgers of the day, in conjunction with show creator Loren Bouchard. Bowen created the tumblr, The Bob’s Burger Experiment to recreate the shows’ recipes a while back, and it caught the attention of the show creator. Now the two are releasing a physical cookbook in March 2016, with Bowen’s recreation recipes and show creator Bouchard doing the illustrations. The Bob’s Burgers Burger Book is already a #1 bestseller on Amazon! 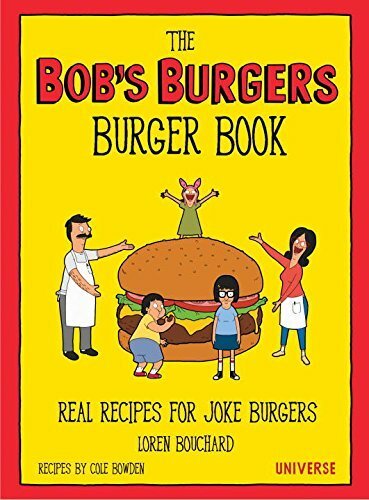 You can pre-order The Bob’s Burgers Burger Book in hardcover for $14.41. Margo Roth Spiegelman is Quentin’s miracle. Margo and Quentin grew up next door to each other in Orlando, and though they were close as kids but grew apart during their teen years, Q never stopped pining after her. He had altogether given up on the prospect of them ever being close again. That is, until she sneaks into his room one night and wakes him up to accompany her on an adventure around the city. Their overnight rendezvous consists of pranking all of Margo’s “friends,” who she’s recently learned haven’t been as good friends as she thought they were. It’s a night to right a lot of wrongs. It’s a night that Q imagines will change his relationship and future with Margo forever. Little did he know, he was right. After that, Margo disappears. She doesn’t show up to school, and her parents haven’t given up on looking for her after all the random trips and disappearances she’s planned in the past. But Q doesn’t give up. He won’t. Now more than ever, he needs Margo and is on a mission to find her. 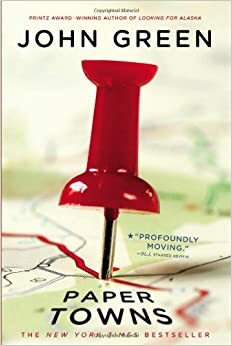 After some of his own detective work with the help of his friends, Ben and Radar, he discovers where Margo is — a paper town, an unbuilt copyright trap of a town that doesn’t really exist, except on a map — a parallel to Margo’s fakeness. At this point, the friends — and one of Margo’s friends, Lacey, set out on a journey to find Margo. Up until this point, Paper Towns, the film, follows Paper Towns, the novel, closely. The casting for the movie on pointe, and the teenage coming-of-age feeling of the book is captured on screen. The last act of the film is where the changes from the book set in — for instance, Radar’s girlfriend also accompanies the group on the road trip to Margo. The novel uses prom as the deadline for the road trip, as opposed to an urgency stemming from Margo moving around. But the very end is the most dissimilar. Without giving anything away, the book’s ending is open for interpretation. It doesn’t feel final, and it’s up to the reader to decide or assume what happens next. The movie shows what happens next. The movie portrays what happens after the Margo meeting. The movie also does it in a way that only Q sees Margo again, and not the other friends. The movie explains how each of the characters winds up several months down the road. And let me tell you something — that ending is far more satisfying than that of the book. I’m not usually a fan of a movie over the book on which it’s based. But in this case, I didn’t particularly love the book. The ending of the novel was a let-down after all I felt I’d “been through” with the characters. The movie’s ending was not. It was also more focused on friendship than chasing not-so-real love. It was more in line with what would really happy. Plus it gave me the satisfaction of knowing that everyone and everything ended up alright — better than alright. And when you’re talking about such fake things as paper towns, it was refreshing to see an ending that was real. Get Paper Towns in paperback for $5.72.